At Cash For Cars San Diego we buy literally any car. We buy running, non-running and junk cars. We are open 7 days a week and our operators are always ready to assist you. We offer free no obligation quotes, call today and see how much your vehicle is worth. All it takes is one phone call to our staff and you will receive an instant appraisal on your vehicle. When you receive your estimate in San Diego County you are under no obligation, you can either accept or decline our cash for for your car offer. If you accept we arrange for a time to come purchase the vehicle in most cases we can buy your car the same day. Lastly, we come to you and pay you cash your car. San Diego! Are You Ready To Receive Cash For Your Car? Individuals with an old car or truck that they no longer need can get quick cash from a reputable car trader in San Diego. We can come directly to a home to do the transaction, without having to make the vehicle owner come out to our facility. At Cash For Cars San Diego, we will buy any car, in any condition, on-site. We can even purchase wrecked vehicles or junk cars at a fair price to relieve used car owners from the demands of selling an older car. Unless the car has been burned, we will purchase any car with no questions asked. Sell Your Car For Excellent Prices In San Diego County! We can offer car owners exceptional rates for their old used cars that they no longer need. By being able to purchase the car right on-site, car owners will be able to save money because they won't need to get a rental car to get home from the facility. This could also make it easier for families since they won't have to make special arrangements to pick somebody up from a car lot after the sale. Further, this offers additional advantages because those with truly wrecked cars will not need to hire a tow truck to bring the vehicle to the facility. Combined together, these savings mean that even the most wrecked car can result in substantial value gained to the customer. Those looking to sell a car can simply give us a call, our staff will come out, and we will buy the car right there in San Diego. This means no elongated selling process, trade-in ripoffs, or stressful hassle. With one quick trip, we can give an immediate quote and do the transaction in just a few minutes. Once paid, we will immediately remove the vehicle from the property without any additional charges to the car owner. By getting everything done quickly, our customers are able to save time and money by not having to take time off of from work and getting to spend more time with their family. We can even purchase several vehicles at once to make this process even easier. We can purchase most common consumer vehicles, no matter how old they are. Below is a list of vehicles that we are willing to purchase. Those who are unsure if we can buy their vehicle should get in touch with us since we are usually willing to buy even the most unique automobiles and motorized machines. We Buy Pickup Trucks, Wrecked Cars, Non-running cars, Sedans, Hatchbacks, Vans, SUV's and much, much more! Our goal is to be the top car buyers in San Diego by offering great service. Why Should I Sell My Car To Your Company in San Diego, California? At Cash For Cars San Diego, we believe that the best way to help our clients is to provide them with friendly and ethical services that maximize the value of their trades. By coming out to a customer's home, we are able to save costs while still giving customers a fair amount of money for their vehicles and allowing you to sell your car quickly. Many homeowners today simply leave an old vehicle outside to rust away and ruin a home's beautiful scenery. Often this is simply because these individuals don't want to take the time to dispose of the vehicle themselves or they are unsure of what it will cost to sell the car. In fact, they may even think they won't be able to sell their vehicles because they believe that nobody will be willing to buy them. With our services, any car can be purchased quickly and at a fair price. Car buying and selling has never been easier. Do You Pay Cash For Junk Cars In San Diego? We pay fast cash for cars, this includes junk cars. 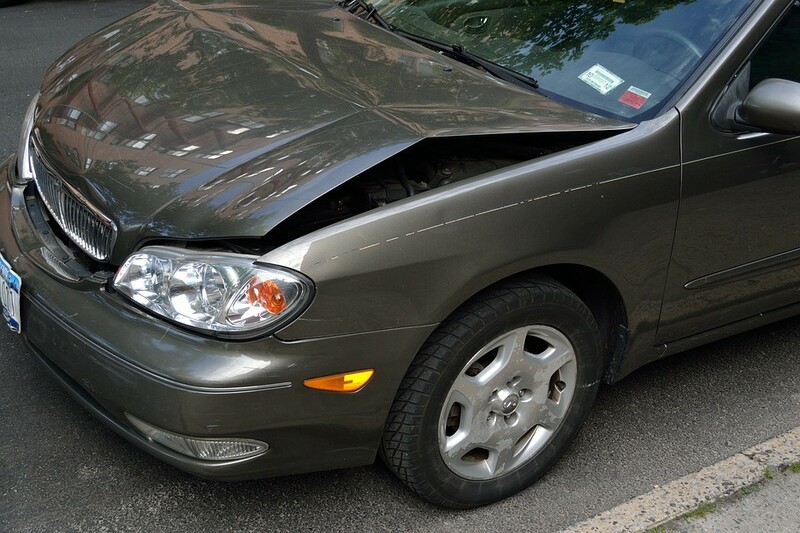 In fact, damaged cars, broken cars and non-running cars are some of the vehicles we purchase most often. Our data trends show us that 57% percent of all vehicles we purchase are considered junk. Whether looking to dispose of an old car, sell a clunker, recycle a car or to simply get quick cash for a newer model vehicle, our team is ready to help. Give us a call today to schedule an appointment to buy one of your used vehicle today! Lastly, if you have a junk car, and you feel that we will not purchase it. We suggest that you consider visiting cash for cars San Diego and find out what they can offer. This company often times purchases a wider variety of vehicles, meaning they may be interested in a car that we pass up on. So, what are you waiting for? Stop, questioning "How I Can Sell My Car in San Diego" and give us a call right now. We offer free quotes everyday of the week.